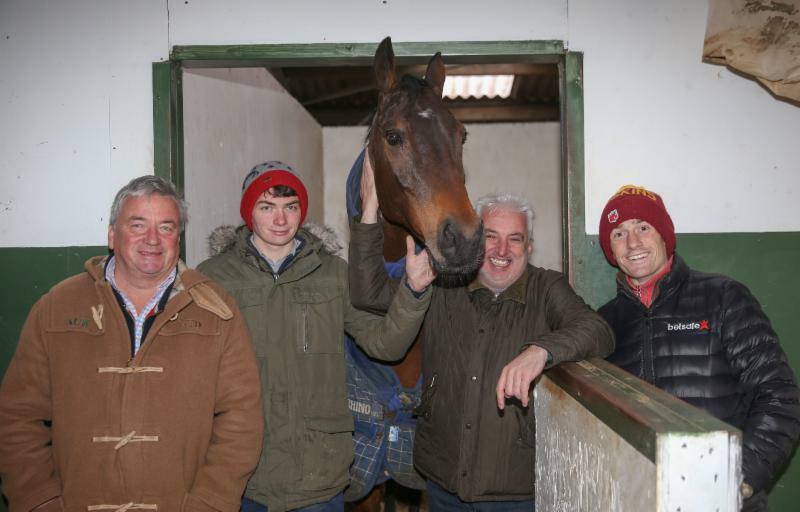 Wednesday, December 6, 2017 - The countdown to the 2018 Randox Health Grand National started today with a media visit organised by Aintree Racecourse to the stable of Nigel Twiston-Davies. The £1-million handicap chase, by far the richest Jump race run anywhere outside of Japan, takes place at Aintree on Saturday, April 14. Twiston-Davies is the only current trainer to have won the Grand National more than once. Next year will be the 20th anniversary of his first Grand National success with Earth Summit in 1998. His second victory came courtesy of Bindaree in 2002. The stable’s main hopes for 2018 are last season’s fourth Blaklion - the 16/1 favourite with Betway, official betting partner of the Randox Health Grand National Festival – and Splash Of Ginge (50/1). Blaklion went down by half a length to stablemate Bristol De Mai on his return in the G2 Charlie Hall Chase at Wetherby on November 4, and is the 11/4 clear favourite with Betway for the £145,000 Randox Health Becher Chase over the Grand National fences this Saturday, Becher Chase Day, December 9. Twiston-Davies said: “Blaklion has huge Grand National potential. He possibly went too soon last year and didn’t quite get home. “It was still a really good run and he did look the winner three out. We would probably ride him with more restraint next time. “The run in Charlie Hall Chase looks very good form. There wasn’t much between him and Bristol De Mai and the handicapper has not been too hard on him. “Everything looks perfect for him in the Randox Health Becher Chase and, with a clear run, I would be very excited. I don’t want to get too excited though as when that happens, something usually goes wrong! He looks a worthy favourite anyway. “We will see how he goes on Saturday before making a plan. If he romps home, do we maybe start looking at him as a Gold Cup horse? I don’t know. Splash Of Ginge already has two prestigious handicap prizes to his name. He captured the 2014 Betfair Hurdle at Newbury and returned to form over fences last time out with a tenacious victory in the BetVictor Gold Cup at Cheltenham on November 17. Twiston-Davies continued: “We will see how his next couple of races go, but Splash Of Ginge could be given a Grand National entry. John [Neild, owner] is a Liverpudlian and wants to have a go. Why not? He has had a bet and will win a million quid if he wins. “Splash Of Ginge will go for the Caspian Caviar Gold Cup next week, provided there is some rain. If it doesn’t rain, he will go for the Welsh National where it should be soft ground, which will suit him. Certainly over two and a half miles, he would need very testing ground. Over longer, he doesn’t. Before Splash Of Ginge ever raced, his charismatic owner John Neild had a £1,000 bet at 1,000/1 that his horse would win the Grand National during his career. Splash Of Ginge is now a 50/1 chance with Betway. Neild said today: “The bet does not change our thinking about the Randox Health Grand National. I always say to Nige that you can’t make the horse fit the race. He was out of form but seems to have his confidence back now over fences. “Splash Of Ginge stays longer than the mother in law. He just needs his ground. We were lucky the other day to get it in the BetVictor Gold Cup when the rain came. If it happens to rain around the second Saturday in April, we will be there to have a go. “Nige is one of those enigmas. I hope people realise and not when he stops training. Everyone thinks he is a maverick character but he isn’t. He thinks everything through methodically and comes back to me with a plan. Twiston-Davies will be well-represented at Aintree on Saturday, with Ballybolley andArctic Gold in the other race over the Grand National fences, the 188Bet Grand Sefton Handicap Chase, and G1 scorer Flying Angel set to tackle three miles and a furlong for the first time in £50,000 G2 188bet.co.uk Many Clouds Chase. Flying Angel captured the G2 Kingmaker Novices’ Chase over two miles at Warwick in February and enjoyed his biggest success to date in the G1 Manifesto Novices’ Chase over half a mile further at Aintree in April. The trainer added: “Flying Angel disappointed on his first run of the season [fifth at Newton Abbot] but was much better the other day at Ascot [fourth in G2 Christy 1965 Chase]. Now we are upping him in trip for the Many Clouds Chase and we hope that will bring out the best in him. Last year’s Randox Health Grand National fourth, Blaklion, is 40/1 with Betway to become the first horse to land the Randox Health Becher Chase and Grand National in the same season. The eight-year-old is the 11/4 favourite for Saturday’s feature race over the National fences at Aintree, while Nigel Twiston-Davies’ runner is also the current market leader for the National at 16/1. Gas Line Boy is Blaklion’s nearest rival in the Becher Chase betting at 15/2, ahead of last year’s winner Vieux Lion Rouge at 10/1. Top-weight The Last Samuri is also a 10/1 chance. The Grand National Festival’s official betting partner, Betway, has both Native River and recent Newbury winner Total Recall at 20/1 for April’s big race, with a host of 25/1 shots including Irish National winner Our Duke. Betway’s Alan Alger, said: “Silver Birch, Amberleigh House and Earth Summit all won over the National fences before doubling up in the Grand National, but surprisingly no horse has landed both the Becher and the Grand National in the same season. Nigel Twiston-Davies initially combined training as a permit-holder with his farming interests throughout the 1980s, having his first winner with Last Of The Foxes at Hereford on February 3, 1982, as a permit holder before the agricultural recession prompted him to make training his full-time profession. He took out a full training licence in 1989, recording his first win as a public trainer on December 30 of that year with Babil at Newbury. He has since gone on to register more than 1,875 successes, with his 1,000th winner coming at Stratford in October, 2006. Born on May 16, 1957, Twiston-Davies rode 17 winners as an amateur under Rules and gained a further 17 point-to-point victories, and served as assistant trainer to Richard Head, Fred Rimell as well as spells with Kim Bailey and David Nicholson. A childhood neighbour and friend of Peter Scudamore, he went into partnership with the champion Jump jockey to set up stables at Grange Hill Farm between Guiting Power and Naunton in Gloucestershire, although Scudamore has not been involved in the venture for many years (since 2003) and currently assists his partner Lucinda Russell. Since 2009, Twiston-Davies’ business partner and assistant trainer is former stable jockey Carl Llewellyn, who enjoyed two Grand National winners thanks to Party Politics in 1992 and Earth Summit in 1998. He is the only current trainer to have won the Grand National at Aintree more than once, saddling Earth Summit to victory in 1998 and Bindaree four years later. He momentarily shocked Des Lynam after Earth Summit’s success by telling the BBC TV presenter in front of millions of viewers “I don’t do interviews”. 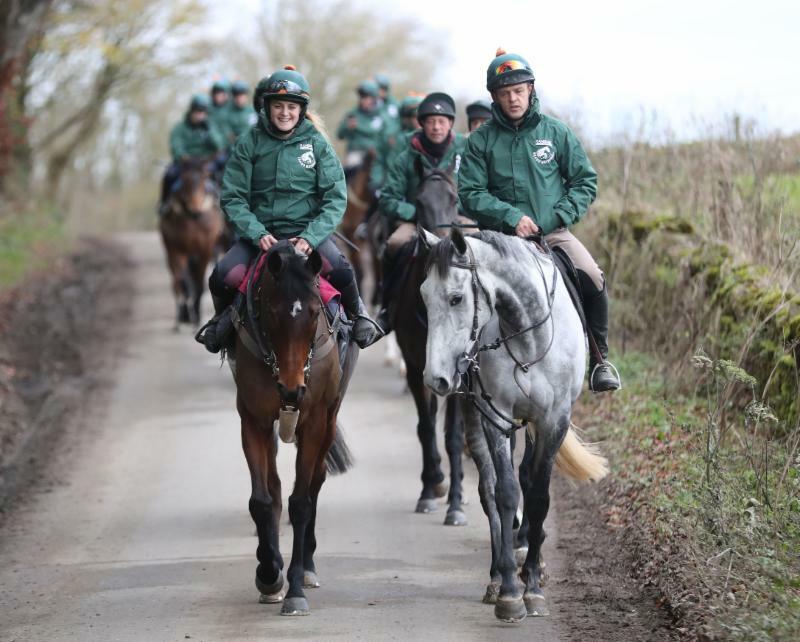 He trained Earth Summit for the six-man Summit Partnership, led by Nigel Payne, press officer for the Grand National. The 2001/2002 campaign had been relatively quiet by Twiston-Davies’ high standards before the Raymond Mould-owned Bindaree provided him with his second Grand National success. Afterwards he revealed that he had been intending to give up training, but despite “having a bigger debt than Argentina” after buying out Scudamore, the Aintree victory made him have a change of heart. The £145,000 Randox Health Becher Handicap Chase, staged at Aintree on Saturday (December 9) over the Grand National fences, has been a very successful race for the trainer who has achieved five victories with Hello Bud in 2012 and 2010 and on both occasions ridden by Sam Twiston-Davies, plus Earth Summit (1998), Young Hustler (1995) and Indian Tonic (1993). He has also won this weekend’s £70,000 188bet.co.uk Grand Sefton Handicap Chase, also over the Grand National fences, with Little Josh (2012, ridden by Sam Twiston-Davies). Twiston-Davies has had 17 successes at the Cheltenham Festival, headed by Imperial Commander in the 2010 Timico Cheltenham Gold Cup. Other big-race wins include three Scottish Grand National successes, two Welsh Grand National triumphs, the Betfair Chase with Imperial Commander (2010) and the Betway Aintree Hurdle with The New One (2014), Khyber Kim (2010) and Mister Morose (2000). His best season numerically was in 2010/11, when he enjoyed 97 winners, while he saddled 95 winners over jumps in 2016/17. He has made a fine start to the 2017/18 campaign, with 40 winners (up to and including Monday, December 4) on the board already, headed by the success of Bristol De Mai in the G1 Betfair Chase at Haydock Park on November 25 and Splash Of Ginge in the G3 BetVictor Gold Cup at Cheltenham on November 18. He had two sons with his former wife Cathy. 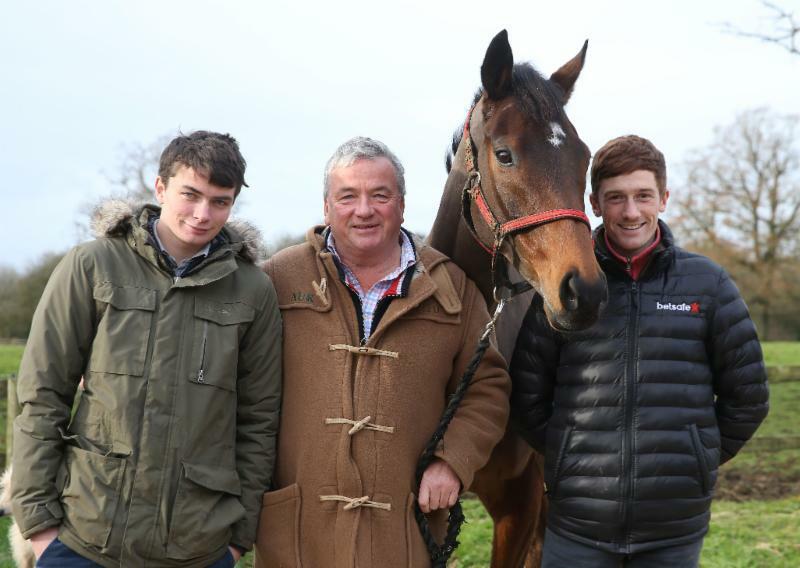 The eldest, Sam, 25, is stable jockey to leading Jump trainer Paul Nicholls and still rides regularly for his father, but is out of action with an elbow injury at the moment. William (Willy), 23, a successful rider on the Flat and over jumps, announced earlier this week that he will not be returning to race riding. He wants to work in bloodstock before becoming a trainer. The trainer is married to Vicky and they have three young children, Poppy, Rosie and Ted. *On course for a second crack at the Randox Health Grand National, having finished fourth in the Aintree highlight in April, 2017, his first appearance over the Grand National fences. Set to start back at Aintree this Saturday, December 9, in the Randox Health Becher Handicap Chase. *Finest hour to date came at The Festival at Cheltenham in March, 2016, when he gamely took the G1 RSA Chase. *Without a win since that victory but ran well several times in defeat last season, including when fifth in the G3 Hennessy Gold Cup at Newbury and second in the G3 Betfred Grand National Trial at Haydock Park. 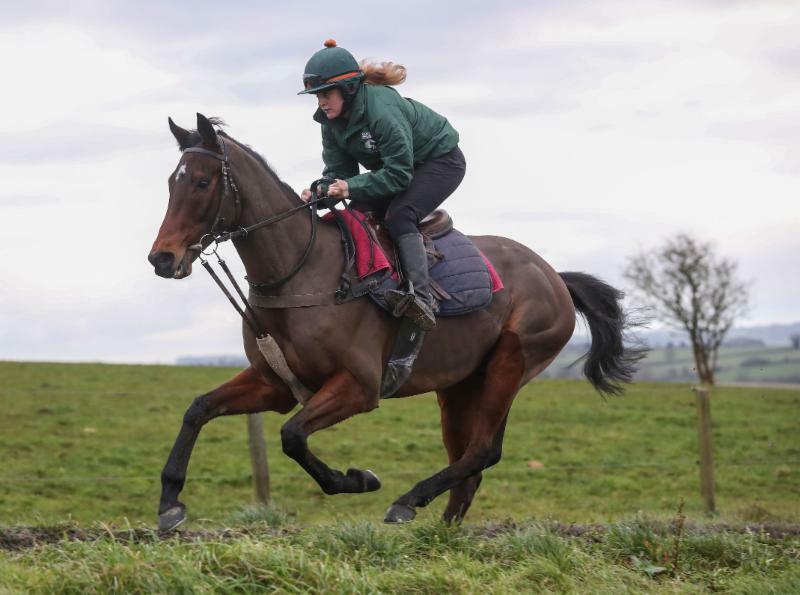 *Made an excellent return in the G2 Charlie Hall Chase at Wetherby on November 4, going down by half a length to stable companion and subsequent runaway G1 Betfair Chase winner Bristol De Mai. *Successful in two of the most competitive contests in the Jump calendar, having scored in the Betfair Hurdle at Newbury as a novice in 2014, and bravely won the BetVictor Gold Cup at Cheltenham on November 17. *Runner-up in the G1 Mersey Novices’ Festival at Aintree in April, 2014, but was pulled up on his only previous experience of the Grand National fences in the 2015 Topham Handicap Chase. *Narrowly missed the cut for the 2016 Grand National (rated 141 at the time). *Pulled up in 2016 Grand National after his saddle slipped on the second circuit; finished fifth on both other starts over the Grand National fences, in the 2015 Grand Sefton Handicap Chase and the 2014 Topham Chase. *Gained a pair of G3 handicap chase victories as a novice during the 2013/2014 campaign, and finished third in the 2016 Ladbrokes Trophy at Newbury and was pulled up after being badly hampered in same race on December 2. *Unseated Ryan Hatch at the second fence on his only previous appearance over the Grand National fences in last season’s Becher Handicap Chase. *Went down by a neck to Vicente in Scottish Grand National at Ayr in April. *Made impressive return to action with victory in randoxhealth.com Handicap Chase at Cheltenham on October 28, before being pulled up in Ladbrokes Trophy (formerly the Hennessy Gold Cup) at Newbury on December 2.